New York, NY – A German-made World War II-era Model 2 freight car was delivered and installed today outside the Museum of Jewish Heritage – A Living Memorial to the Holocaust as part of the travelling exhibition Auschwitz. Not long ago. Not far away. Freight cars such as this were used by the German Nazis to deport people within occupied Europe to ghettos, killing centers, and concentration and extermination camps. Ultimately, 1.3 million people were deported to Auschwitz, and 1.1 million of those were murdered there. Auschwitz. Not long ago. Not far away. is the most comprehensive Holocaust exhibition about Auschwitz ever exhibited in North America. The presentation at the Museum of Jewish Heritage – A Living Memorial to the Holocaust is produced in partnership with the international exhibition firm Musealia and the Auschwitz-Birkenau State Museum in Poland. The groundbreaking exhibition was curated by an international team of experts led by historian Dr. Robert Jan van Pelt. It will open in New York City on May 8, 2019 and run through January 3, 2020. The freight car, which was covered, was delivered on a flatbed truck. Rails were laid on the plaza in front of the Museum. A crane lifted the freight car into place. Between June 1940 and January 1945, more than 1.1 million people, including ca. 1 million Jews, were murdered at Auschwitz. Most were transported there in train cars such as the one being placed on display. The horrible journey could last many days. Approximately 80 people and their belongings were crammed into each train car with a single barrel for sanitation and a can of drinking water, on a trip from which most never returned. The train cars brought people to extermination centers and returned filled with their looted possessions. This freight car is one of 120,000 built between 1910 and 1927, used by the Deutsche Reichsbahn (German National Railway) to transport foodstuffs, goods, and livestock. During World War II such trains cars were also used to transport soldiers and prisoners of war, and to deport Jews, Roma and others to the ghettos and killing centers in occupied Poland and the German Nazi concentration camps across occupied Europe. It is 11.5 ft. wide x 31.5 ft. long and has approximately 215 square feet of space. “The historical train car is one of the most important symbols of the horrifying systematic plan of mass extermination of Jews as well as terror and hatred unleashed within German-occupied Europe against many other groups. It is now placed less than two miles from the Statue of Liberty – a symbol of freedom, a welcoming sight to all immigrants who search for hope and their new, better future in the United States. This shows us why we need to remember about the tragic past. Freedom, democracy, human rights and justice are not given once and for all. We remember to strengthen our responsibility for protecting those values,” said Dr. Piotr M. A. Cywiński, Director of the Auschwitz-Birkenau State Museum. Auschwitz. Not long ago. Not far away. arrives in New York City after the exhibition completed a successful run at Madrid’s Arte Canal Exhibition Centre, where it was extended two times, drew more than 600,000 visitors, and was one of the most visited exhibitions in Europe last year. The exhibition explores the dual identity of the camp as a physical location—the largest documented mass murder site in human history—and as a symbol of the borderless manifestation of hatred and human barbarity. Featuring more than 700 original objects and 400 photographs, the New York presentation of the exhibition will allow visitors to experience artifacts from the Auschwitz-Birkenau State Museum on view for the first time in North America, including hundreds of personal items—such as suitcases, eyeglasses, and shoes—that belonged to survivors and victims of Auschwitz. Other artifacts include concrete posts that were part of the fence of the Auschwitz camp; fragments of an original barrack for prisoners from the Auschwitz III-Monowitz camp; a desk and other possessions of the first and the longest-serving Auschwitz commandant Rudolf Höss; a gas mask used by the SS; and Picasso’s Lithograph of Prisoner. Auschwitz. Not long ago. Not far away. traces the development of Nazi ideology and tells the transformation of Auschwitz from an ordinary Polish town known as Oświęcim to the most significant Nazi site of the Holocaust—at which ca. 1 million Jews, and tens of thousands of others, were murdered. Victims included Polish political prisoners, Sinti and Roma, Soviet prisoners of war, Jehovah’s Witnesses, and those the Nazis deemed “homosexual,” “disabled,” “criminal,” “inferior,” or adversarial in countless other ways. In addition, the exhibition contains artifacts that depict the world of the perpetrators—SS men who created and operated the largest of the German Nazi concentration and extermination camps. Following the New York presentation, the exhibition is intended to tour other cities around the world. The schedule will be announced in the upcoming months and years by the Auschwitz-Birkenau State Museum and Musealia. Auschwitz. Not long ago. Not far away. at the Museum of Jewish Heritage – A Living Memorial to the Holocaust is made possible with lead support by Bruce C. Ratner, George and Adele Klein Family Foundation, Ingeborg and Ira Leon Rennert, and Larry and Klara Silverstein & Family. The exhibition is presented in part with major support by The David Berg Foundation, Patti Askwith Kenner, The Oster Family Foundation, and The Bernard and Anne Spitzer Charitable Trust. The New York premiere is made possible in part by Simon & Stefany Bergson with additional support from The Knapp Family Foundation. Entry is by timed ticket available at Auschwitz.nyc. Audio guide (available in 8 languages) is included with admission. FREE for Holocaust survivors, active members of the military and first responders, and NYC public school students and educators (with valid school-issued ID). Contact the Museum at 646.437.4304 or groupvisits@mjhnyc.org. See Auschwitz.nyc for more information. Museum hours will be extended starting May 8, 2019 for Auschwitz. Not long ago. Not far away. A companion catalog is being published by Abbeville Press on May 7, 2019. The Museum of Jewish Heritage – A Living Memorial to the Holocaust is New York’s contribution to the global responsibility to never forget. The Museum is committed to the crucial mission of educating diverse visitors about Jewish life before, during, and after the Holocaust. The third largest Holocaust museum in the world and the second largest in North America, the Museum of Jewish Heritage anchors the southernmost tip of Manhattan, completing the cultural and educational landscape it shares with the Statue of Liberty and Ellis Island. Since 1997, the Museum of Jewish Heritage has welcomed more than 2.5 million visitors; it maintains a collection of more than 40,000 artifacts, photographs, documentary films, and survivor testimonies and contains classrooms, a 375-seat theater (Edmond J. Safra Hall), special exhibition galleries, a resource center for educators, and a memorial art installation, Garden of Stones, designed by internationally acclaimed sculptor Andy Goldsworthy. The Museum receives general operating support from the New York City Department of Cultural Affairs and New York State Council on the Arts. For more information, visit mjhnyc.org. 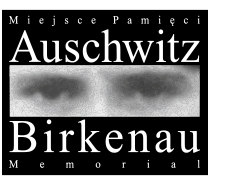 Fulfilling the wish of survivors, on July 2, 1947, the Polish parliament created the Auschwitz-Birkenau State Museum on the site of two preserved parts of the former German Nazi camp: Auschwitz I and Auschwitz II-Birkenau. The Memorial today includes an Archive and a Collections department, and undertakes research, conservation, and publishing activities. It is, above all, an education center that teaches visitors about the history of Auschwitz and the Shoah. More than 2 million people visited the Auschwitz-Birkenau State Museum in 2018. 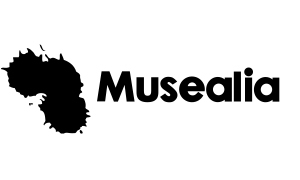 Musealia is a Spanish-based global producer of large-scale historical exhibitions that are presented at museums and education centers all over the world. Its vision is to create and manage exhibitions that are distinguished by a strong narrative character, historical rigor, emotional impact, and educational value. Naval History and Heritage Command, Washington, D.C.